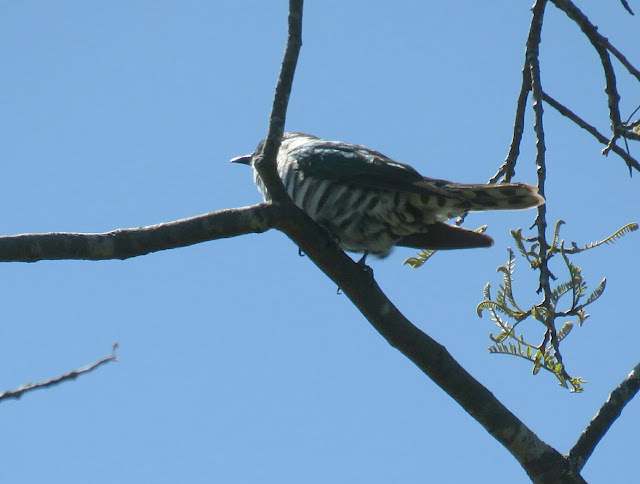 We can ID this bird as a Shining Cuckoo by its white cheeks, underparts and short tail barred with dark green, black downcurved bill and dark green wings. 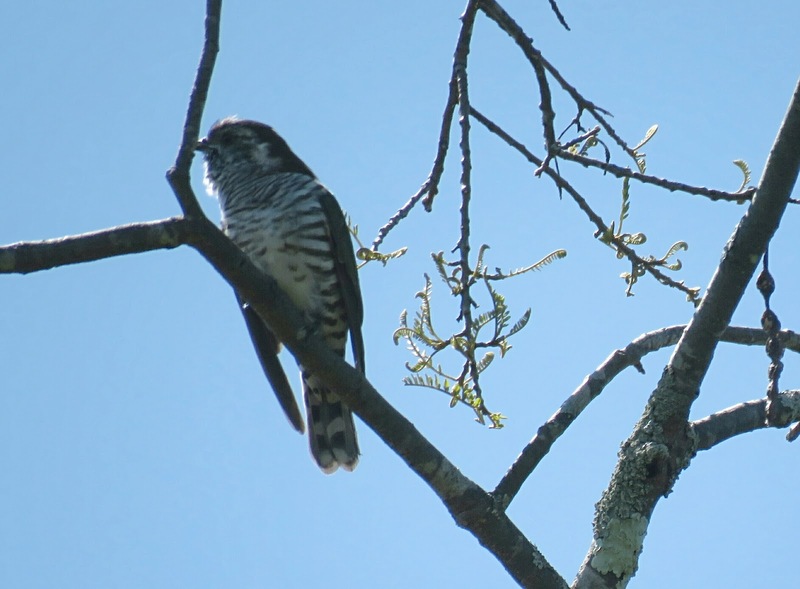 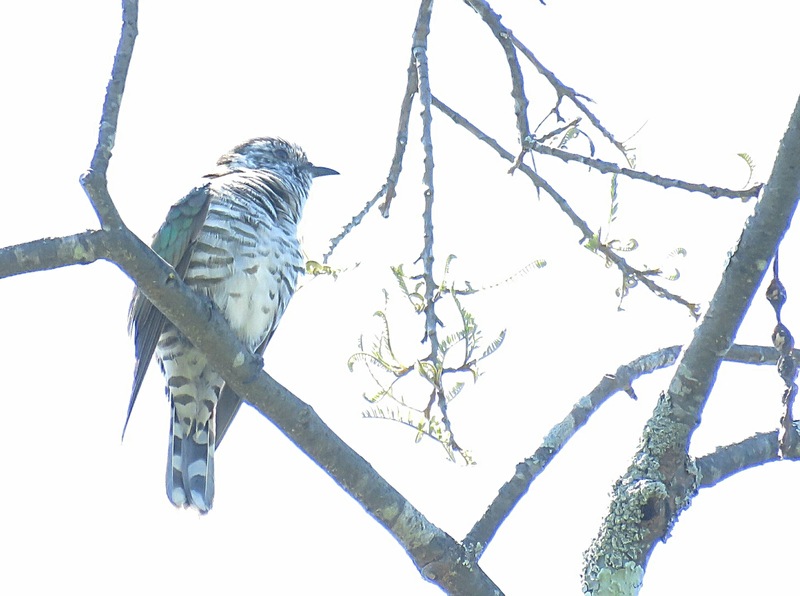 The Shining Cuckoo is a summer migrant to New Zealand, where it is common. 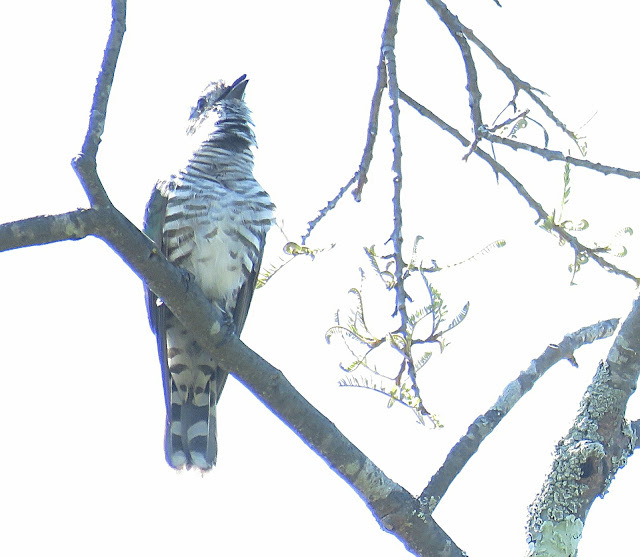 The Shining Cuckoo is a new species to our Photographic Life List, which now stands at 738.